What Happens When You Lose An Election? McLean County Board candidate Sol Roberts-Lieb takes a photo of the TV at the 2018 Libertarian Election Watch Party as his name flashes on the screen Nov. 6, 2018. After every election, the focus is on the winners, their thoughts about the campaign and goals for the office. But every election also has candidates who lose, despite fighting just as hard as those who won. Some never run again. Some candidates give it up as a bad job. Others use defeat as a goad. Sol Roberts-Lieb lost his race for McLean County Board on Tuesday, but his interest in public office dates back years. Roberts-Lieb ran for the first time last year for Unit 5 school board and lost. "Just because you lose an election doesn't necessarily mean that you don't keep fighting for your ideals and keep moving forward and making progress." That’s when Roberts-Lieb became involved with the Libertarian Party. 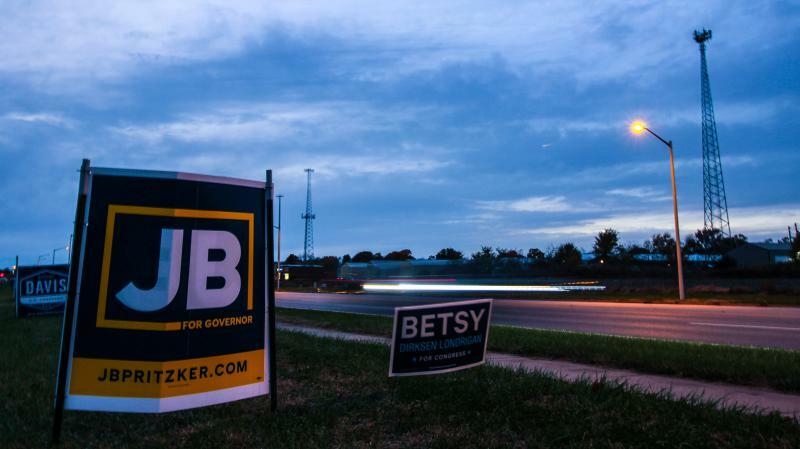 He said after losing in the Unit 5 election, he worked with McLean County Clerk Kathy Michael to see what it would be like to run this year as part of an established Libertarian Party. There are candidates like Roberts-Lieb who did not have an interest in public service until midlife. And then there are people like Mike Kelleher who devote their whole lives to it. 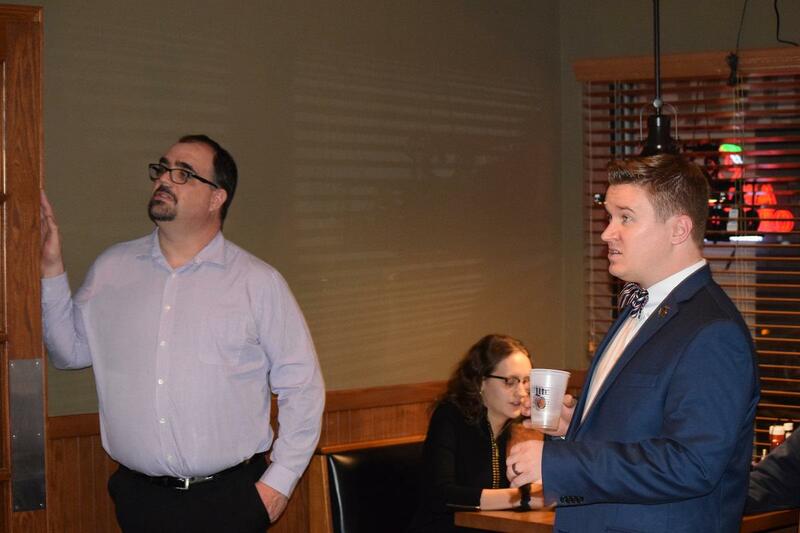 Former McLean County Board candidate Sol Roberts-Lieb, left, with Libertarian Party of Illinois state chairman Bennett Morris during a watch party Tuesday, Nov. 6, 2018, in Bloomington. Kelleher grew up in McLean County, ran for Congress and later for Illinois lieutenant governor before working within President Barack Obama’s administration. He said going door to door as a congressional candidate of what was then the 15th District opened his eyes to the impact of government. Kelleher said he walked away from his congressional campaign in 2000 (against former Rep. Tim Johnson) with a different view of public service. Running for Congress is a tiresome and tiring exercise of travel, fundraising, and speaking. Kelleher said interactions with people keep candidates pushing through Election Day. He said he hoped to run again, but when the Democrats redistricted the map in 2001, he fell out of the 15th by a block. Kelleher lost by more than a little to Quinn, who went on to win the general election alongside Rod Blagojevich. Kelleher said that loss changed the trajectory of his career. Kelleher went on to work with the National Democratic Institute helping redevelop the former Soviet Republic of Georgia. He worked hard to make then-Sen. Barack Obama president and followed him to the White House as the director of correspondence. After a few years, Kelleher moved around in the Obama administration to work as an adviser to the U.S. executive director at the World Bank in 2010, and has worked with the World Bank in various roles ever since. “I find great satisfaction in knowing I'm serving a purpose bigger than myself, and you see occasionally you're awarded by seeing people that actually are the beneficiaries of your work,” Kelleher said. That vision of public service is common to most candidates. It’s not unusual to see multiple attempts over a period of time. Take Bloomington Mayor Tari Renner. Renner won a second term as mayor last year, but in 2004 he ran for the U.S. House in Illinois' old 11th Congressional District. Renner ran against incumbent Republican Jerry Weller, and came nowhere close to winning. Five years later, and while serving on the McLean County Board, Renner announced his first run for Bloomington mayor. Tari Renner won re-election as Bloomington mayor in 2017. Renner said knowing he had Bloomington support during his congressional race made it easier when he decided to run for mayor in 2009. But he lost by fewer than 15 votes. Four years later, Renner said it was time to try again. “I knew what I wanted to do and what I felt was necessary, and that I felt we'd made some progress, actually, in open government, but I thought we made baby steps where we should have been running a marathon,” Renner said. He said having specific ideas and goals propelled him to run in 2013 in spite of the earlier loss. “I wouldn't have run for mayor if I didn't think I could make a difference, and I knew precisely why,” Renner said. He imagined revitalization projects in Downtown Bloomington and a better plan for economic development. Renner said Obama told him what has become Renner’s own advice for those who lose their race. 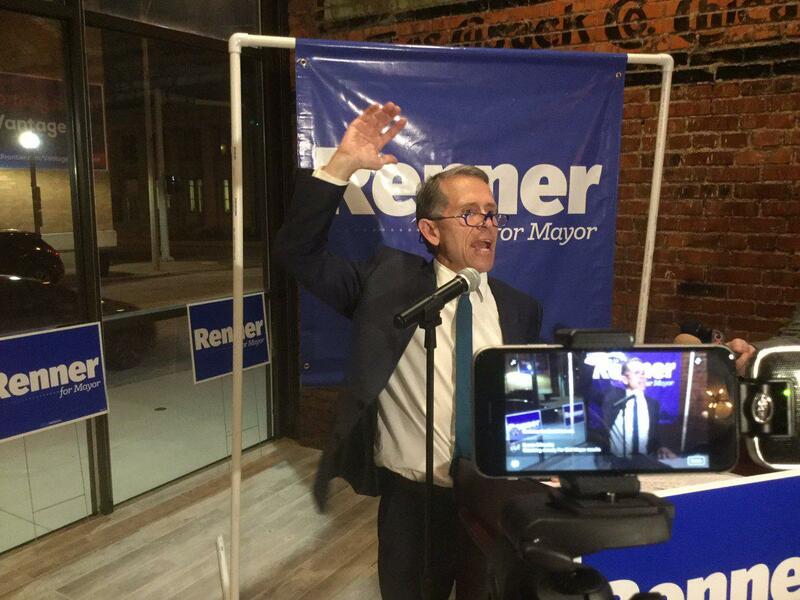 Renner used that fire to propel himself into two successful mayoral campaigns. But not every candidate jumps back in. Sol Roberts-Lieb said recovering from an election loss is different for everyone. He said those who lost their race do not have to run for another elected office, but they should find a means to stay involved in their passion. "So that's my advice: Take the loss, understand it, get OK with it." Roberts-Lieb said all healing takes time, and it will be different for all candidates. As part of that healing, Kelleher said to think about why you’re in public service in the first place. “And why they're seeking to be an elected official, and that calling and that work will continue whether or not you get elected. It will always be there. And you can find great meaning and satisfaction in that work in the future,” Kelleher said. Kelleher said the work candidates do on the trail does not stop on Election Day. He said it motivates the candidates who lost to push for more change in the future. Fifteen candidates in McLean County lost their races Nov. 6. Many of which were running for elected office for the first time. GLT's full story about those who lose elections.